Every successful journey starts with proper planning and preparation. And because this is especially true for retirement, the University of California is offering a special educational event to help UC San Francisco faculty and staff have the financial security to enjoy all that retirement brings. 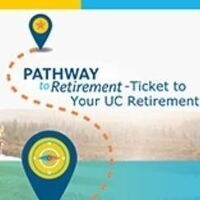 Whether it’s months or years away, your pathway to a successful retirement starts here!